Adam Greenen led the charge of the Minis at the Isle of Wight College on July 12th. The Greenen family were on form throughout the day, and it was Adam who found the time required to beat the rest of the Class Three field as well as the fastest of the ‘Seven-esque’ Locost machines, piloted by Ricky Sheppard, who was Class Five victor. Chris Greenen recorded the third fastest time of the day, six hundredths of a second behind Sheppard and a further six hundredths of a second clear of Dan Morgan in his Sub Zero Locost. Dave Goodwin was next in his Mini, followed by Class Four winner Toby Allen, who pulled out a very good performance in his Lotus Elise. Daniel Kozakewycz took Class Two honours in his Mazda MX5, beating the recently dominant Dean Long in the process. Daryl Turner rounded out the Class Three podium. Kevin Richardson took the wheel of his daily driver, a Toyota Yaris, in order to take Class One honours, while Vicky Cox was the fastest lady of the day ahead of Jill Broomfield, who had a big moment in her Volkswagen Golf on her fourth run. Her car was badly damaged, so Vicky Cox shared her the 205 for the rest of the day. Sue Mitchell rounded out the Ladies top three in her MX5, which she shared with Steve Glass. 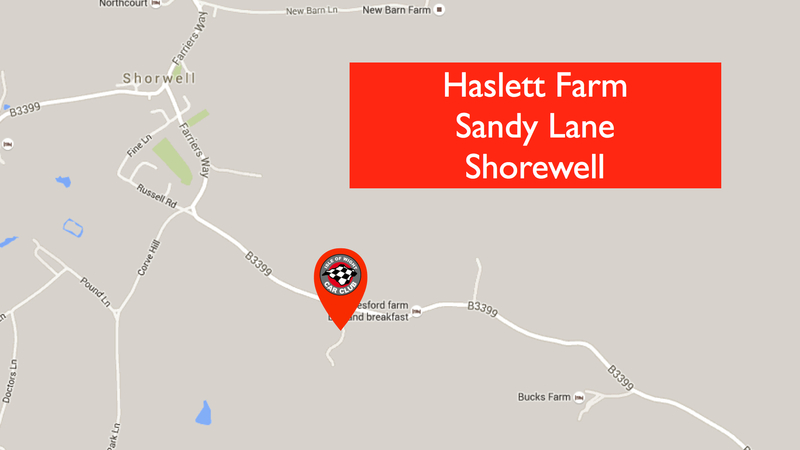 Next time out, the Isle of Wight Car Club visits Haslett Farm, located on Sandy Lane, near Shorwell. Round 7 27th July Venue Change! This is a large stubble feild reported to be smoother than Atherfield. Round 5 of the Isle of Wight car clubs forward only auto tests took part at Atherfield on Sunday. This was also round 2 of their unsealed surface championship, the venue at Atherfeild is always popular due to it being a large flat open field. 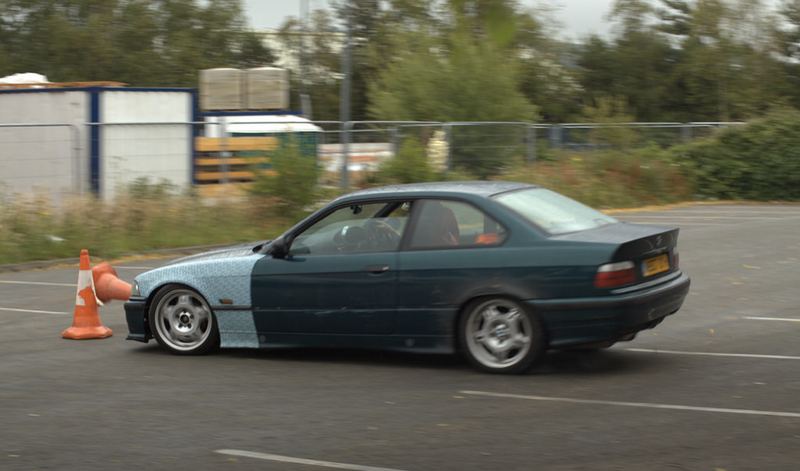 This allows competitors to use normal road going cars without the fear of damaging them. Competitors are divided into classes depending on what type of car they decide to drive on the day, these range from unmodified under 1400cc cars in class 1 to space frame single seater buggys in class 5. However, drivers with four wheel drive and knobbly tyres (class 4) held a distinct advantage over their 2 wheel driver competitors as even short grass offers little traction to cars on road tyres. 6 of the top 10 fastest cars on the day were 4wd Subaru Impeza’s – the exception to the rule was Chris Wilson in his class 5 special who came 4th, Steve Brett in his class 3 classic mini in 8th and Wayne Hole class 4 and Dean long class 2in their MX-5’s who came 9th and 10th respectively, proving that every day cars can still be competitive. Motorsport is one of only a few sports were ladies and gentleman compete against each other side by side in the same arena, The isle of Wight Car Club is no exception, Zoe Henry, Sue Mitchell, Jill Broomfield, Marion Brett and Vicky Cox all showing that it’s not just a man’s game with Vicky driving her peugeot 205 to 15th place overall. The big news of the event was the rise of Adam Morgan who was sharing a Subaru Impreza with his older brother Dan Morgan (the raining overall club champion). Adam dominated the event all day and won the event by .45 of a second and leaving his older brother Dan back in 3rd place. Everyone on the day were so pleased to see Adam take his first ever win and look forward to seeing this sibling rivalry develop over the rest of the season. If you wish to take part in a future event, all you need is a valid driving licence, a crash helmet and a car. Just a reminder we’re making our 2015 debut at the Isle of Wight College this coming Sunday the 12th for Round 6 of the calendar! Usual rules apply; sign on closes at 9:30 sharp so please arrive with enough time to unload, leaving your car unlocked and available for scruitineering. Charges are as usual – £10 in advance through PayPal and £12 on the day. Finally it’s been noticed litter is being left at our events. Can I ask that we all work together to ensure those attending our events respect the venues so we can keep using them.